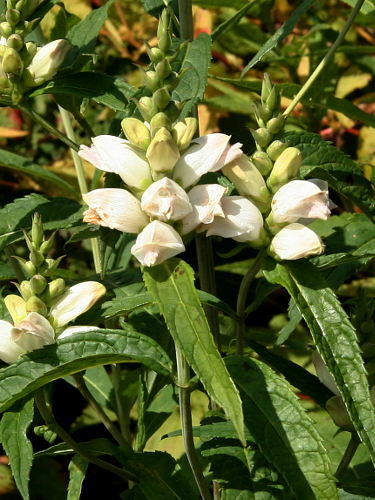 (Balmony; Bitter herb) Used for poor appetite, indigestion, general debility, constipation, piles, worms. Good tonic during convalescence. White-pink flowers resemble turtle heads.